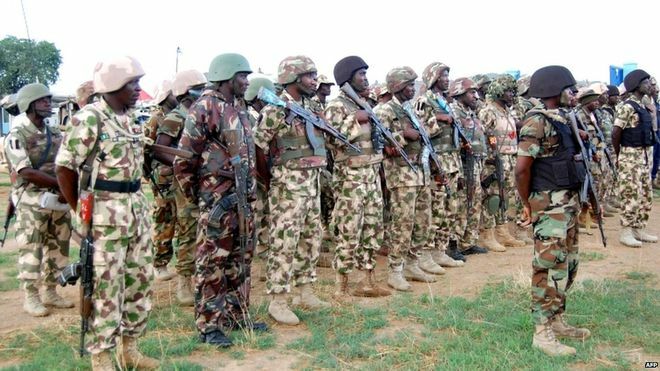 Nigeria’s military has recaptured most of the territory controlled by Boko Haram this year. Nigeria is going to establish a domestic weapons factory in an effort to cut its dependence on imported arms, President Muhammadu Buhari has said. Nigeria has been battling the militant Islamist group Boko Haram for the last six years. The US has refused to sell arms to Nigeria citing human rights abuses. President Buhari told a gathering of newly graduated military officers that Nigeria “must evolve viable mechanisms for near-self-sufficiency” in defence equipment that it usually imports. 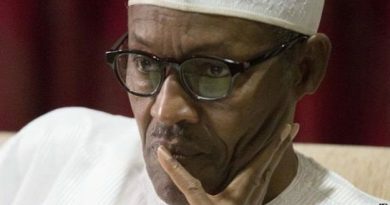 On a visit to Washington last month, Mr Buhari said that the US had “aided and abetted” Boko Haram in the past by refusing to sell weapons to Nigeria. On Tuesday, a group of visiting US Congress members said Washington could lift its ban on shipping arms to Nigeria’s military if the country improved its human rights record. The US’s stance has effectively stopped other Western countries from selling sophisticated military hardware to the country, the BBC’s Bashir Sa’ad Abdullahi reports from the capital, Abuja. Nigeria’s only weapons factory in the northern city of Kaduna mainly produces rifles and civilian tools, Mr Buhari’s spokesman Garba Shehu told the Reuters news agency. He said that defence chiefs had now been asked to “re-engineer” it. 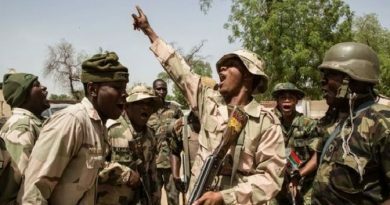 Last month, human rights group Amnesty International said that some 8,000 men and boys had died in Nigerian military custody after being detained as suspected militants. The military rejected this allegation and Mr Buhari promised an investigation, although there have been no further details.